Gigstarter creates a new way to book bands, DJs and solo-artists. The platform empowers people to find and book artists easily through an intuitive online process. It creates transparency in pricing and promotes a direct dialogue between artist and client. Since this year the Amsterdam based start-up operates in eight European countries including the UK, generating more than 10,000 booking requests a year. 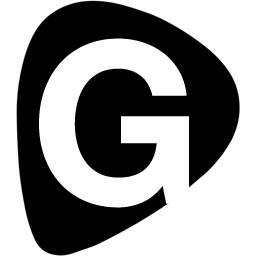 Gigstarter expanded to eight European countries including the Netherlands, Spain, France, UK, Italy, Germany, Austria and Belgium. The initiative is supported by a versatile community including thousands of musicians; the team expects to catalyse over 4 million GBP in local and international booking requests in 2018. As an artist, it is free to have a profile on Gigstarter. If you have international ambitions with your act and want to have more benefits from Gigstarter, you can purchase a PRO+ membership. With this international membership your act is visible all across Europe and you increase your chance of getting international Gigs. Acts like the German singer Isaac Roosevelt, Italian DJ Fabdance and the Dutch reggae act Tjerk Schoonheim & Friends are PRO+ and love to play all across Europe. The first international exchanges between the countries are already established trough Gigstarter. For example, last month the Irish Vincent O'Brien went to Belgium for a unique Gig and the Dutch duo Mais performed in Germany. Curious about the most popular Gigstarter artists?